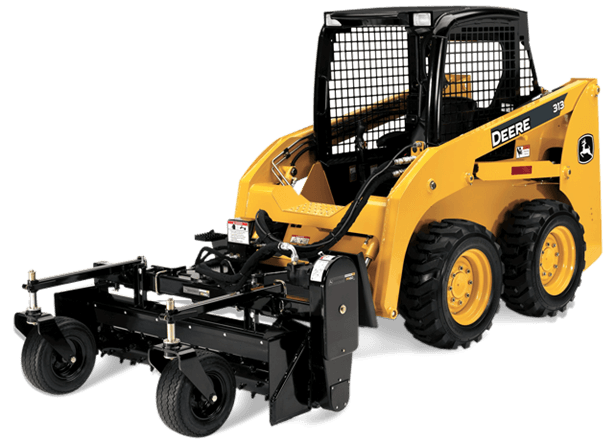 The Worksite ProT Power Rake line is the ideal skid steer tool for landscaping, seedbed preparation, rock raking and picking, site development, and more. The opportunities are limitless. Long-life carbide teeth on roller dig, lift, and pulverize dirt. Like all Worksite ProT attachments, the power rakes are optimized to work with John Deere Skid Steers and Compact Track Loaders, and are compatible with most competitive models.